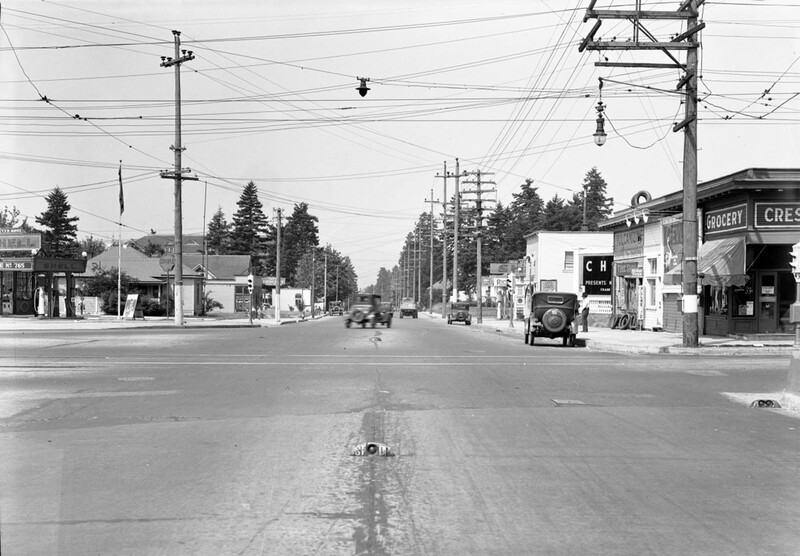 This circa 1932 photo is labeled as “SE 50th, Foster & Powell” but it doesn’t seem to match any previous photos we’ve seen of that location. 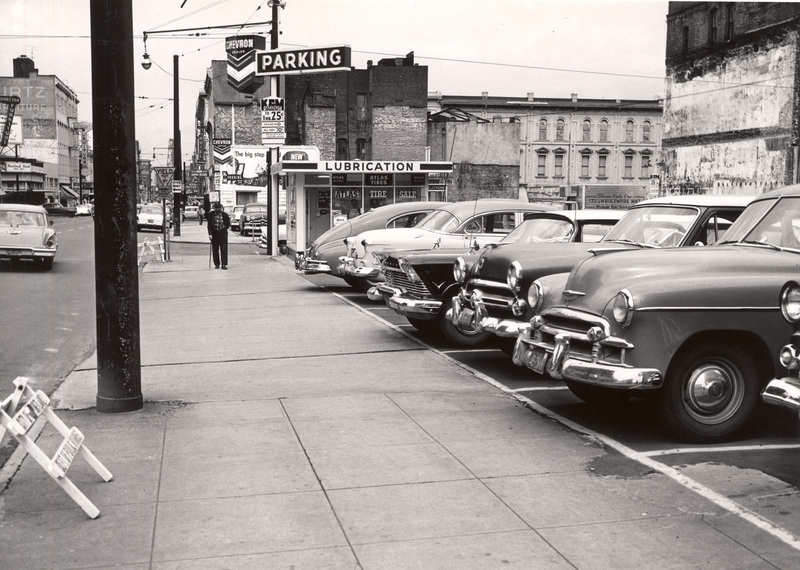 We need some VP sleuths to confirm this location or to identify the real location. Good luck! Update: This location is correct. The view is looking west on SE Powell with 50th (and the Foster Road trolley tracks) crossing in front of us. Trees up ahead indicate Creston Park. Good work everyone! 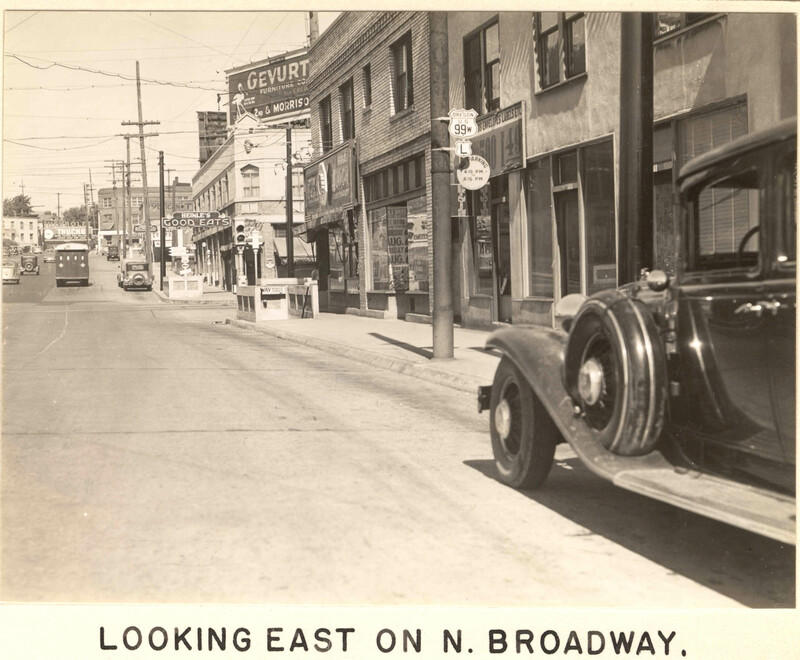 N. Broadway looking east to Larrabee seemed like a thriving, pedestrian-friendly neighborhood center in 1937. You can even see the subway entrances that would allow walkers to cross under the busy streets. Everything on the right is now part of the Memorial Coliseum/Rose Center complex. 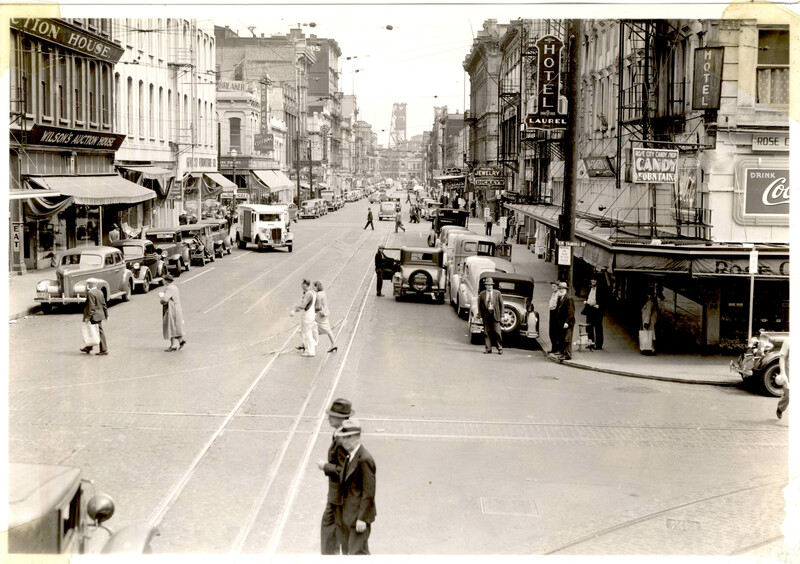 See another view of this intersection looking south on this previous VP post. 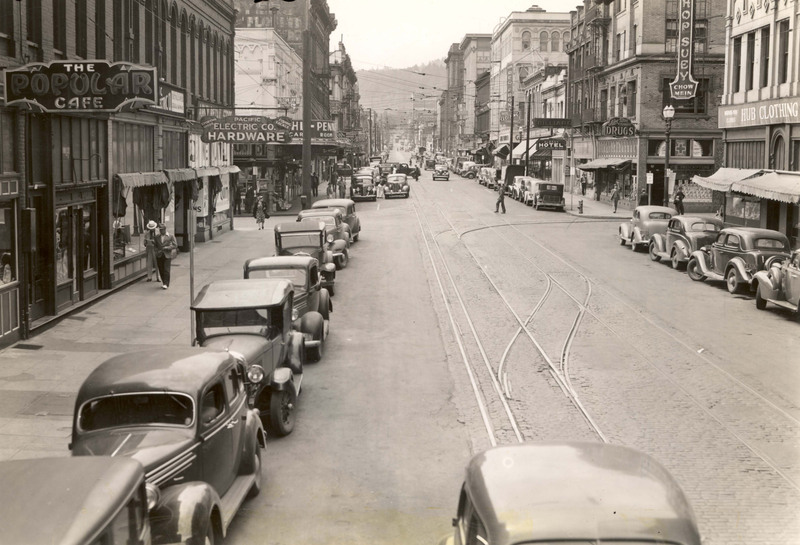 The finer parts of Portland had moved a few blocks south and west by 1939, leaving this section of SW 2nd looking south toward Alder the realm of the working man. Work clothes, billiards, Army surplus and hardware stores mixed with restaurants, hotels and drug stores. Anybody remember the old Dahl & Penne Card Room (awning on the left behind the hardware sign)? It came down in the mid-1980s.